My dear friend and friend of my family, Eddy Miller passed on this week. I'll blog later when I'm ready. You can read about Eddy here. I'm Writing a New Blog - Color Conversations! So many people come to this Create and Relate blog looking for color answers that I've decided to devote a blog just to the subject of choosing colors. Titled, Color Conversations, it's a blog devoted to the process of choosing colors. I love helping clients choose colors for their homes or business projects and have been actively color consulting for over 5 years. 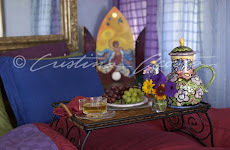 Color consulting is a business that I enjoy and that I find enriches my perceptions as an artist. 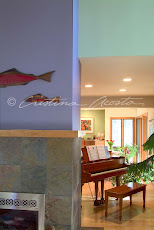 I love the process of guiding clients to discover their best colors whether it's a home or business. 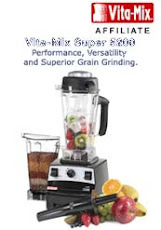 Stop by my new blog to say hi. I'd love to hear your color stories. 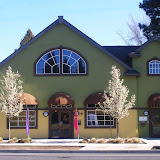 I've spent as much time as I could the last two weeks at Pat Clark's printmaking studio, Atelier 6000 (A6), in Bend, Oregon. Pat, her helpers and fellow printmaking artists have been especially helpful guiding me through the world of printing. Here's what I've learned so far. Printmaking is FUN! It's also exacting, engaging and messy. I've been learning mono-printing as everyone tells me that monoprinting is most like painting, therefore an easier segue into printing for a painter. I especially love how I can't predict anything (yet) during the printing process and that results in surprises that always lead to something even better. It's a fun and relaxing way to fill my creative well. I'll post of few of my learning prints when I have some I really like. The well of experience that I draw from to create includes everything I experience. To keep the waters of creativity flowing, it's very important that I continue to experience new things and experiment with different viewpoints. Changing my viewpoint is a lot easier when I try something new that always pushes me to learn. One of the easiest methods to bring fun and positive change into my life is athletics. Stand up paddle boarding has become one of my favorite sports. This is my third summer of paddle boarding and I'm hooked. I've learned to surf ocean waves, wind-driven lake waves, and paddled rivers. Besides being fun, stand up paddleboarding puts me in to intimate contact with nature. I'm often on waterways that have their own life rhythm s and images. Last weekend I went on a 35 mile downriver paddle with some of our local stand up paddling group. 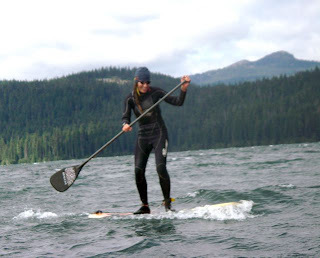 (You can read more about paddle boarding on the SUP Stand up Paddle blog my husband I and share.) The nine hours we were on the Deschutes River in Oregon, filled my senses with both obvious imagery and more subtle experiences. I work animal a nd plant images into all of my paintings regardless of the style I'm working in. Here are a few examples of oil paintings I've done that focus on animals. The Blue Heron is a large 4' x 6' oil of an experience I had watching a Blue Heron fly through the forest before dawn. The Eagle is a raptor that I see often on the High Desert Plateau near my home. The Deer Herd is often in my garden (eating or drinking!). Flora, fauna, madonnas and figures populate my imagery and flow from my actual experiences. Figure drawing once a week keeps me in touch with on of my favorite artistic disciplines, stand up paddle boarding is another type of discipline. It's all good! This exhibit is up for Summer 2009. 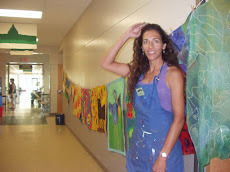 The artist statement describes the personal context of my art and about the intent behind these pieces. Cristina Ortiz Acosta – Artist Statement 2009 - Exhibit at El Museo Cultural, Santa Fe, New Mexico. 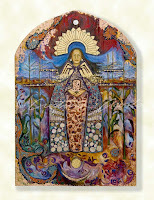 Click here to see this series of Hispanic Retablos. 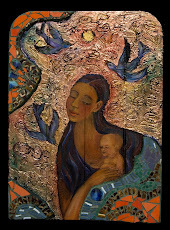 Over the past twenty years, my series of Madonna retablos came to me in ebbs and flows via a series of powerful dreams. The dreams started during my pregnancy with my daughter. For the entire pregnancy I dreamt of being a woman on a journey north across dusty plains and through arroyos as I mostly walked behind an oxcart. The dreams ended in a room lit by a wooden candelabra filled with tallow candles and the birth of my daughter, Isabella Pilar in 1993. I called these dreams my Maria Dreams because in the dreams, I/she was named Maria. Seeking the meaning of those dreams over the years brought me down a path I could never have imagined and deepened my understanding of my cultural heritage. Searching for the meaning of my Maria Dreams eventually lead me back to New Mexico, the land of my Ortiz ancestors. My paternal grandmother, Catalina Maria Ortiz Acosta, born in 1904, was the daughter of J. Nestor Ortiz and Maria Elena Salazar, descendents of the original Spanish settlers founding the cities and villages throughout New Mexico. Researching my family genealogy (my grandmother spoke vaguely about her ancestors), I discovered that my direct ancestors had participated in the initial 16th and 17th century migrations of the Spanish, traveling North from Mexico City into the region that is now the State of New Mexico. I read books about the era and became fascinated by the types of experiences my female ancestors must have had while living on the New Mexican frontier for generations. With this research nurturing my experience of my personal history, my calling to paint Madonna’s began to take shape. Born in Los Angeles to an Anglo mother and Hispanic father, early on I was aware of cultural concepts because of the differences between the two sides of my family. Despite their differences, Catholicism was the central theme for my parents. Celebrating their devotion resulted in religious images from the Americas and Europe scattered throughout our home and those of our relatives. Images of Mary the Mother of God as the Guadalupe, Conquistadora and many other versions were always present. Along with those images were displayed American Indian items from the Ortiz ranch. The artifacts from the Ortiz family ranch consumed my imagination from as far back as I can remember. Handmade Indian blankets and pots, and even a gold menorah (referred to as a “candelabra” by my grandmother) made by Ortiz ancestors generations past (some of the men were renowned filigree gold smiths). Those as well as the chili ristras hanging in my grandmother’s kitchen hinted at another world far from the Southern California beach scene of my childhood home. For reasons I can’t sufficiently articulate, the mix of these images and experiences coalesced into my c alling to visually explore and create new images of the Madonna as an expression of the feminine divine. 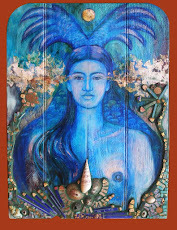 Each of the retablos I paint results in a new vision of the sacred. For example, painting La Conquistadora opened the door to re-balancing the dominant patriarchal and European view of the divine with the North American native and feminine. In La Conquistadora I layer symbols of the Dine Spider woman and the Puebloan Corn Maiden, seeking to blend the indigenous ancient female images and concepts harmoniously with the Catholic image of Mary. 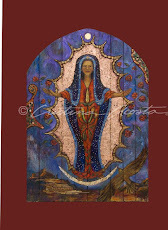 The result is a Madonna that hints of ancient goddesses many thousands of years old at the same time she conveys the current blend of cultures in the Southwest. I create my work in the traditions of the Spanish/Mexican retablo to reinforce my expression of reverence and convey the intimate experience of sacredness. I find antique, reclaimed timbers for the substrate. I mix gold, silver and copper metals into my oil paintings to both embellish the image and in homage to the gifts my ancestors created for me with their existence. The vintage gold glazed ceramic tiles come from a tile company that operated near my childhood home in Southern California during the 1950’s and 60’s. When I finish a retablo, I write a blessing on the backside of the retablo to convey love to all who view the images. My Maria Dreams from over a decade ago continue to influence this series of work. May you find your own meanings and blessings within these images.